The closest and easiest parking option is the 90-minute free parking structure located north of the studio on Raymond Avenue. Street parking is free until 11:00 a.m. and after 6:00 p.m. on certain streets. Please read parking signs! Meters only take change, no cred card. Take advantage of the 90 mins free parking structures in Old Town Pasadena. Located on the north-east corner of Raymond Avenue and Union Street. From the 110 Freeway: The 110 Freeway ends at Arroyo Parkway in Pasadena. 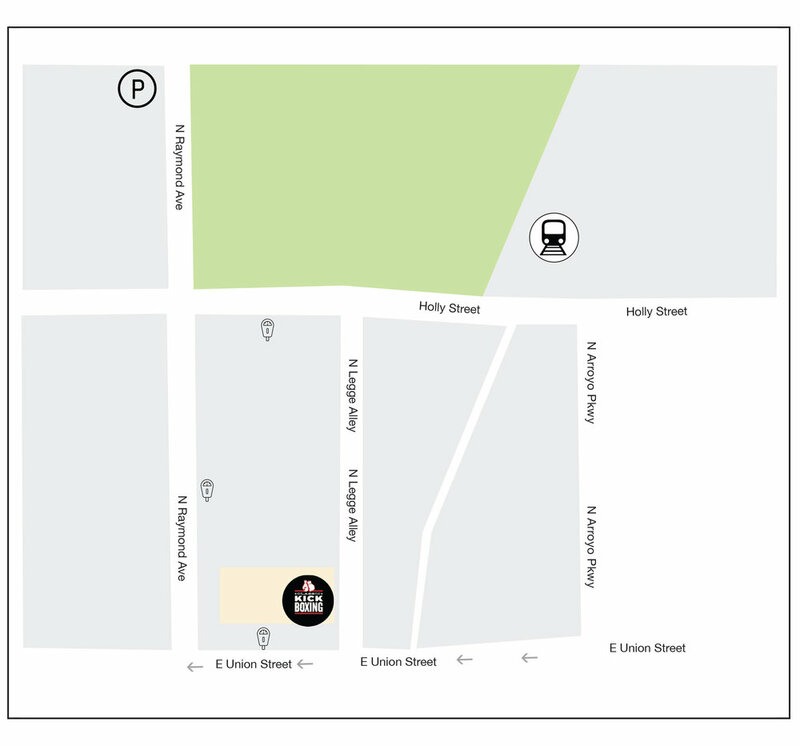 Follow Arroyo Parkway to Union Street, left at Union Street, the studio is on the right. From the 210 Freeway: Exit Colorado Blvd, left at Arroyo Parkway, left at Union Street, the studio is on the right. The closest and easiest parking option is the 90-minute free parking structure located north of the studio on Raymond Avenue. There is another 90-minute free parking structure located south of the studio on Raymond Avenue. Street parking is free until 11:00 a.m. and after 6:00 p.m. on certain streets. Please read the parking signs! Meters only take change, no credit card.